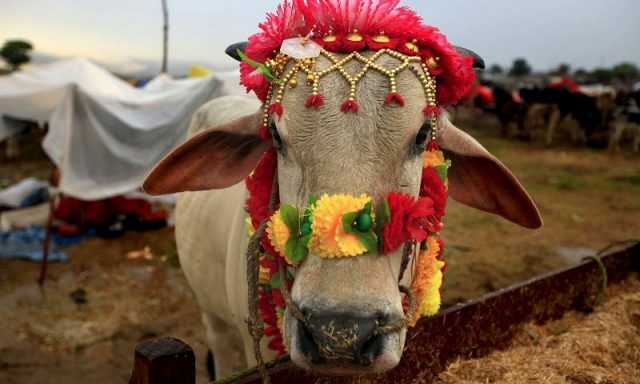 Eidul Azha is just days away and while some people have already bought sacrificial animals, others are still in a fix over whether they are supposed sacrifice an animal this year or not. During the special Hajj transmission on SAMAA TV, Dr Jameel, a religious scholar, said sacrificing an animal is strongly recommended (Wajib) for any person who has 52 tolas of silver or cash equivalent to that, which, according to current rate of silver, is around Rs40,000 to Rs42,000. He went on to say that for sacrifice to be recommended to any person, they should have this amount of money but it shouldn’t be part of their regular expenditure needs. Explaining how animal sacrifice is different from zakat, Dr Jameel said zakat is mandatory while sacrifice is not binding but strongly recommended.